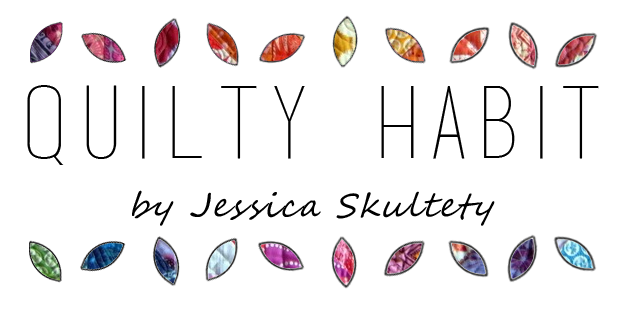 Quilty Habit: Welcome, Fat Quarter Shop + Giveaway! 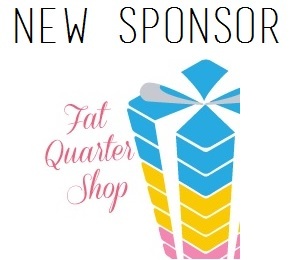 I'm excited to announce that the Fat Quarter Shop is my newest blog sponsor! 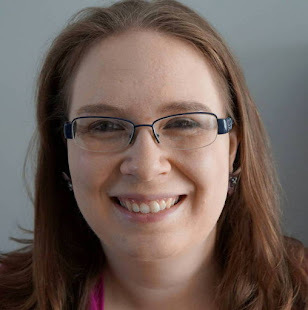 I only partner up with shops and companies that have proven their worth to me, and FQS has done that and more - especially with their commitment to developing the online quilting community. I've always been impressed with FQS's fast shipping, wide selection (the latest and greatest in fabric), and professional, friendly YouTube tutorial videos (seriously, have you seen them?). 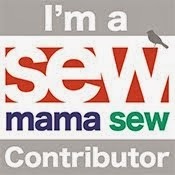 They also spread the love for fabric and free tutorials by involving bloggers. 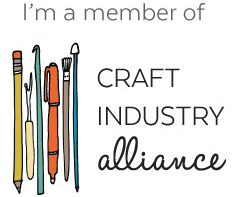 This partnership is exciting to me because I also feel so passionate about the quilting community. Thank you, Fat Quarter Shop, for seeking me out! My current fabric picks: I'll start with Blueberry Park by Karen Lewis Textiles/Robert Kaufman, since it's so scintillating in all different Kona colors. Here is one of my favorites (unsurprisingly, purple). Have you hear about Cozy Cotton Flannel by Robert Kaufman? I hadn't until I recently browsed through FQS's always-exciting Coming Soon section. I LOVE using high-quality flannel for backings, and I can't wait to try this one out (Hot Pink Apple Peel). Looks like orange peels to me. And I love orange peels. P.S. I always love the graphics that FQS uses to show all of a fabric line - so clear and easy to see everything. See what I mean? 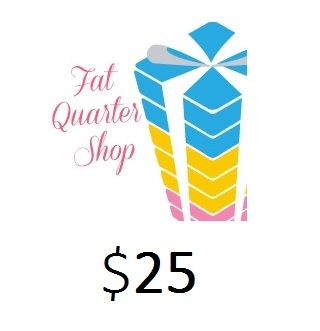 To celebrate our new partnership, the Fat Quarter Shop is giving away a $25 gift certificate to their shop! Visit FQS and tell me which fat quarter bundle you've got your eyes fixed on. This giveaway will run from 2/12 - 2/20/16 at 7 pm EST. The winner will be chosen using the Random Number Generator. I will email them and post their name here (so please make sure you leave your email if it's not linked to your account). Thanks again to the Fat Quarter Shop! Best of luck in the giveaway! P.S. You can always see more about my sponsors and disclosure here. 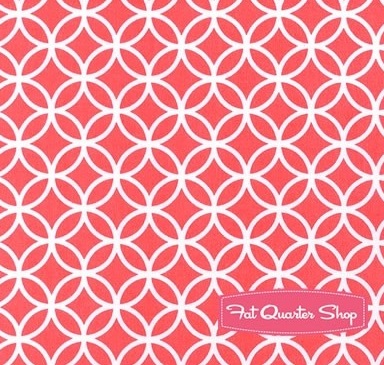 The Paperie fat quarter bundle is lovely. FQS has so many awesome bundles. I follow the FQS on FB. I like 2016 Butter Churn Basics Fat Quarter Bundle by Kim Diehl for Henry Glass Fabrics. I'd pick either Pastel Sommer or Eastham for a fat quarter bundle. There's so many bundles I love to eyeball at the FQS but right now Vinatage Picnic is the main one. I love the colours in Joel Dewberry Slate Atrium. The designs are more modern than I normally work with but I'd love to start using more modern fabric designs with some the modern patterns I've been collecting. I have Carkai sitting in my cart. I'm just not sure a FQ bundle is enough! I love the Purple Plum batiks FQ bundle. I follow you on GFC, thanks for the chance! I follow FQS on FB. They are wonderful!! Congrats on the partnership! I follow via my blogroll--you have been on it for a long time. The bundle I want is Vintage Picnic--drooling right now! I'm really drawn to the solids bundles, but really like the Twilight C+S basics bundle. I've been a follower through Bloglovin for a while now. Love your blog. There is so to choose from at the FQS, but atm I'd choose Pat Sloan's Hometown Girl batiks. I follow FQS of FB, I follow QH on IG and Bloglovin. I'm torn between the Blueberry park Neutrals and the Southern Exposure pack with the Aurifil thread. I follow you on Bloglovin. Thanks for the awesome give away! I really have my eye on Black Tie Affair. Thanks! Congrats on your new sponsor. FQS is the BEST!!! I follow Quilty Habit on Blogger and Facebook. I've been loving the Arrow prints I've been seeing lately. I would get something out of my normal color pallet - I'm thinking the Michale Miller Jewel Arrow Flight Fat Quarter Bundle would do the trick!! I love the Color of the Year Stash Pack Featuring Bella Solids and Aurifil Thread. Such a deal and SO pretty! I follow FQS, what a great store, and great tutorials. Yes, I follow FQS with FB. I would love to get the Butter Churn Basics bundle. Of course I like FQS on FB. I am loving Bonnie & Camille's Designer Select Vintage Picnic Fat Quarter Bundle at FQS ! I really want a big bundle of Sommer by Sarah Jane! I agree with everything you said about the FQS, Jess. What a great partnership! I follow you via email, using my wordygirl at earthlink dot net addy. I love so many bundles, but the one that immediately catches my eye is the Denyse Schmidt curated bundle for Katie Jump Rope; her choice of 12 beauties would fit so well into my stash, and then immediately into a quilt. so hard to choose. I need some basics so maybe butter churn basics or cotton and steel basics? Thanks for the chance! I'm loving EASTHAM right now. Did I say loving? I meant lusting and drooling over it! I follow FQS via FB. I follow you on IG. Thanks! I would love the cool colors Blueberry Park bundle, although I am sure once I got it I'd want the warm color bundle,too!! I follow you by e-mail. Thanks! I love the Carkai bundles! I follow you by Google Friend Connect! I cant decide which bundle I like best! Would love to win though and pick one out! Right now I am into brights and I love the American made bundle. If I win that's what I am buying for sure. I follow you by email and have for a long time. Yes, I love Fatquartershop too. A lot. I have spent a lot of money there. Jess, I have been a loyal and loving follower for about 5 years when I found you. I want I want and I really want a fat quarter bundle of paperie. Then I will make a romantical quilt for me and hubbs to have a picnic on. i would love the 2015 bella solids fq bundle. thanks for the giveaway. I love the DARE TO BE DIFFERENT bundle! Hi! I too love FQS! I follow you via email! I follow FQS on Facebook! I really like the Carkai bundle too! I've actually have had my eye on it! Bloglovin is where I read about you! HAPPY TO FOLLOW FQS ON FB! I folloe FQS on FB also! I am lusting after a stack of Farm Girl! I follow you via Bloglovin and IG!! Thanks!! Hi Jess...I follow you via email. I follow FQS on FB!! I love Aria by Kate Spain... This is the first time I've seen this collection and it is gorgeous!!! Oh... I am eyeing Alice's Scrapbag fq bundle...although I will admit the little stash packs of fq's and matching Aurifil thread are pretty tempting! I follow you via email, Jess. Thanks so much for the giveaway! SO MANY pretty sets to choose from... the first one that caught my eye for a 2nd look was 2015 Bella Solids. I've also been eyeing V&Co and Lori Holt sets. I follow FQS via email and Facebook. I follow Quilty Habit by email. I follow FQS on FB and by email. Loving Blueberry Park in cool tones and loving 2015 Cotton and Steel basics. Hi Jessica! I've been following you for awhile on Bloglovin. Thanks for all the inspiration on your blog! I follow the Fat Quarter Shop on Facebook. Thanks for the great giveaway! I love Tula Pink's Eden line, and my favorite bundle is the Mosaic Eden bundle. Thanks again! I really like Carkai and am looking forward to Little Ruby from Bonnie and Camille coming out soon. I follow Quilty Habit via email. I would choose Twilight Cotton + Steel Basics Fat Quarter Bundle. I love those dark colors and would use them everywhere. I follow Fat Quarter Shop on Facebook. Thanks for the tip! I just liked FQS on Facebook. Thanks for the chance to win! I am a Bloglovin' follower and enjoy every post! I follow FQS on facebook too! 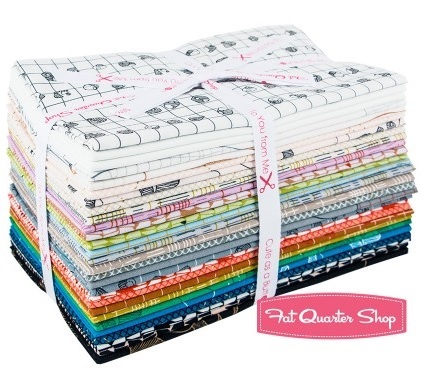 I adore the Paperie fat quarter bundle on the FQS site! I like the FQS on fb! I would love a Vintage Picnic fat quarter bundle! I have a thing for shirtings and love Kim Diehl's collection. I follow Quilty Habit via bloglovin (email). Thanks for the giveaway. 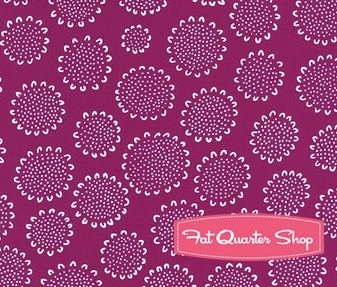 I follow Fat Quarter Shop on Facebook and have purchased from them several times. I find them to be a source of good quality fabric with good prices. I get your blog posts (and newsletter!) via email. Thank you for offering that option and not just a blog reader thingy. The Redwork Revival bundle at FQS looks like it would be perfect for just about any project! 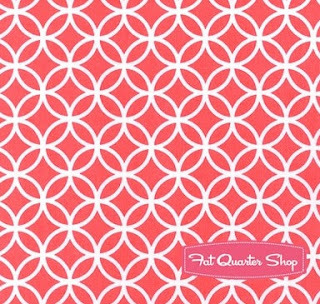 I've been eyeing the Round Elements Fat Quarter Bundle. I have several of the colors, but I'd love to have them all! One of the fat quarter bundles I like is Zoo Baby Flannel Fat Quarter Bundle by Michael Miller Fabrics. So precious. I am crushing on Seafaring American Made Brand Cotton Solids Fat Quarter Bundle! So yummy!!! I follow via email and would love the Blueberry Park layer cake. Thanks! I follow you via Bloglovin, thanks! I am loving both the Carkai fat quarter bundle & Denyse Schmidt's Eastham fat quarter bundle. I am looking at the Traditional Splendid Sampler bundle. Lavender Market would be my choice then closely followed by Suffolk. Thanks for the opportunity to win. Id love to buy the 2015 C+S basic fat quarter bundle box. Ill be able to use these basics in basically every project I am currently making. Would most certainly be the best buy (but expensive though!)! I like the FQS on Facebook. I like the Bonnie and Camille FQ bundle. The bundles that have caught my eye are Paperie and the solids bundle that matches.